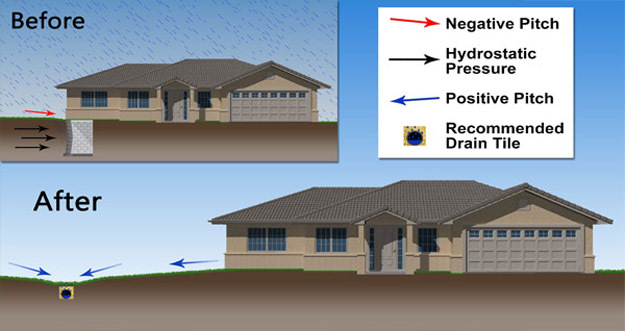 Check that the ground around your house slopes away from your foundation. This helps keep water from entering through cracks in your foundation or overloading the weeping tiles. View more information about lot grading and drainage. Direct your downspouts away from the home where water can be easily absorbed, such as your lawn or garden. Connect the downspout to a rain barrel and direct the overflow hose towards your lawn or garden, not onto your neighbour's property.